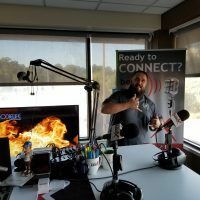 Pensacola Business Radio:FoodieLife Series-Guests: Stelios “Manoly” Vatsolakis, USMC, Shoreline Foods Store Inc. ,Yiayia’s Imports LLC. In 1998, my parents, Stylianos (Steve) and Alice Vatsolakis, moved myself and my two sisters, Chrissoula and Katerina, to Pensacola, from Crete, Greece, to purchase Shoreline Foods from Mike Gavallas. My father, Steve, is a FAA Authorized Inspector by trade and is now the Aircraft Maintenance Officer for the Civil Air Patrol while my mother, Alice, retired from the U.S. Navy as a Senior Chief Petty Officer and, upon retirement, supported my father’s decision in purchasing Shoreline Foods by handling all the business’ finances and books. In 2000 they started importing our Shoreline EVOO and it quickly became a product you could find in most kitchens of Pensacola and the surrounding area. Since then, my father has introduced countless products from Europe and the Middle East. In 2002, I joined the Marine Corps and was stationed in San Diego, CA where I met the love of my life, Maia. In 2006 and 2008 she blessed me with our two gorgeous girls, Lucianna and Ellynne and after five years in the Corps and three tours to Iraq I ended my enlistment. We decided to stay in San Diego for another seven years, at which time we were presented with the opportunity to take over the amazing business Mr. Mike and my father created. In 2014, Maia and I moved our family to Pensacola and started the transition. It took almost 2 years for us to feel ready to take over and in July, 2016 we purchased the business from my father and made it official. Since moving here, in 2014, my father and I have introduced many new items, including the Greek olive bar, our own brand of wines from Crete, Greece, a great selection of craft beers, and others. Now that my wife and I have taken ownership we plan on improving even more and are very excited about sharing our improvements with all of you. My parents worked very hard to take care of each and every customer and his/her needs. We plan on working even harder to not only accomplish the same, but also to bring out all the potential this business has, so it can be even more enjoyable for everyone. We appreciate all of your support and hope to continue being the local grocery/import store you’ve come to love. 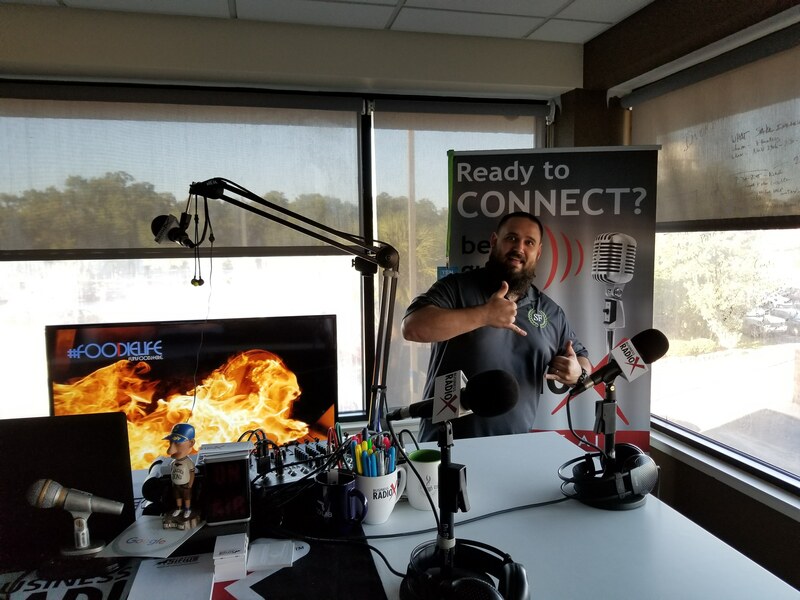 Filed Under: Pensacola Business Radio, Pensacola Studio Tagged with: Buckhead Business Radio, Buckhead Business Radiox, business, Business Radio X, CW Hall, entrepreneur, Entrepreneurship, Expert Interviews, Pensacola Business Radio:FoodieLife Series-Guests: Stelios "Manoly" Vatsolakis, Shoreline Foods Store Inc., Stelios "Manoly" Vatsolakis, USMC, Yiayia’s Imports LLC.